Roy Moore, the former chief justice of the Supreme Court of Alabama, just cannot seem to let go of the fact that he lost his bid for a seat in the U.S. Senate to Doug Jones in a special election on Dec. 12. After previously refusing to concede his loss in the hope that there would be a recount, Moore is now going after the women who accused him of sexual misconduct with a lawsuit that alleges, among other things, political conspiracy. AL.com reports that an attorney for Moore announced the lawsuit at a news conference Monday afternoon. Defendants in the lawsuit include Leigh Corfman, Debbie Wesson Gibson, Beverly Young Nelson and Tina Johnson —all of whom made allegations of sexual misconduct against Moore—as well as Richard Hagedorn. Moore spoke at the news conference and said that he has no intentions of running for public office. He again denied having made any unwanted romantic or sexual advances toward the women, saying that he “never knew” the women and that “there is no truth” to the allegations against him. The lawsuit alleges negligence, wantonness, defamation, negligent infliction for emotional distress, intentional infliction of emotional distress, outrage and civil conspiracy. 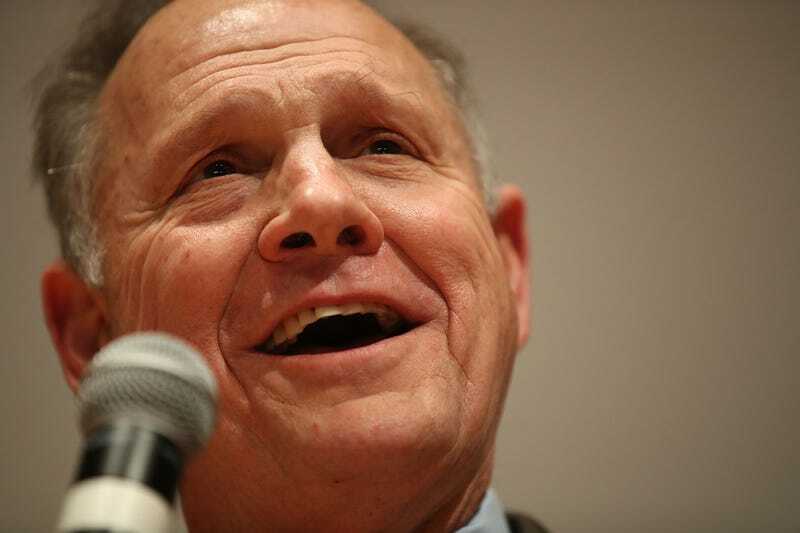 The complaint questions allegations made by Corfman—who said she was just 14 years old when a 32-year-old Moore touched her over her underwear and encouraged her to do the same to him—as well as those made by Nelson, who said that Moore attempted to sexually assault her in his vehicle; and Johnson, who said that Moore grabbed her buttocks as she was leaving his law office. Moore’s lawsuit attempts to discredit Wesson by saying that she is a Democrat who was in support of Moore’s opponent, Doug Jones, and accuses Hagedorn of conveying “false and malicious information” to the Washington Post that would eventually be published in a Nov. 9, 2017, report outlining the allegations against Moore. [The defendants] have committed libel and slander against Judge Moore by making statements which were false, malicious, and made with intentional or reckless disregard of the truth and with the intent that those statements be published to others including through state and national media. Those statements caused harm to the reputation and character of Judge Moore and also to his wife Kayla, lowered their standing in the community, and discouraged members of the community from associating with them. By making such statements to the public media, each of the defendants knew or should have known that their comments would be widely disseminated, exposing Judge Moore and also his wife Kayla, to disgrace, ridicule, odium and contempt resulting in general and special damages. Judge Moore suffered economic harm both in the U.S. Senate campaign and in time expended refuting the false allegations.